We found that the CPM cost model is the most effective. Given the fixed nature of our cost/unit, every % gain in creative performance drops to the bottom line. 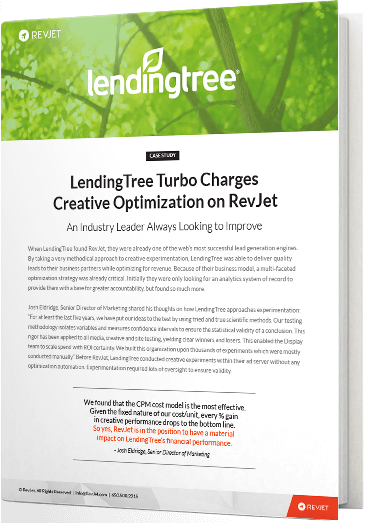 RevJet is in the position to have a material impact on LendingTree’s financial performance.